Much of this land in Medford remains undeveloped; the main loop around Roxy Ann Peak is a 2.4-mile loop. You can shoot off on any number of radiating smaller trails on these beautiful – but steep – slopes. Canine hikers will find the splendors of the Marble Mountain Wilderness exquisitely preserved. Dozens of species of trees and lots of animals call these lands around the Salmon River home. 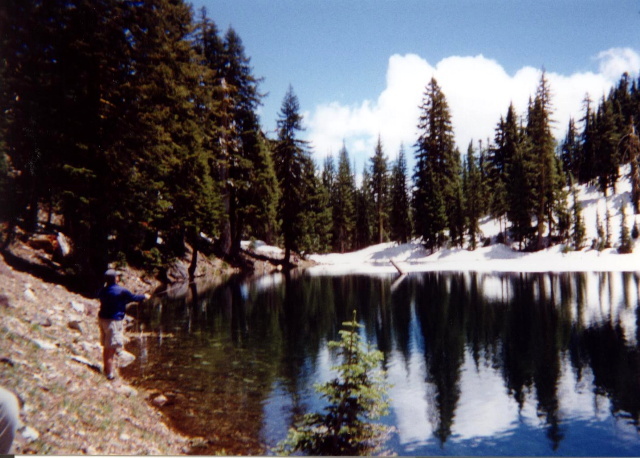 There are 89 pristine lakes for your dog to swim here. Wildflowers are a special treasure of hiking in the Shasta/Rogue River region. The 3.4-mile out-and-back trail at Mount Ashland leads through not one, not two, but five showy meadows. 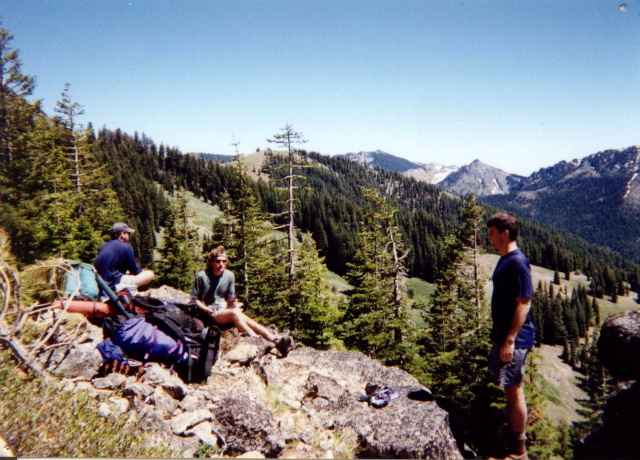 This subalpine meadowscape changes regularly with the seasons so make sure to hike this trail often during the year. The trail along the McCloud River leads to three distinctly different waterfalls. The hike gets crowded but you can seek solitude by fanning out on the other available trails on the south slopes of Mt. Shasta. Redding is becoming nationally known for the quality and variety of its trails. The trail around Mary Lake is an easy 3/4-mile stroll with your dog while the Westside Trails offer four miles of hillside walks serving up sweeping views of town. The Bear Creek Greenway will one day be a continuous 21-mile recreational route running from Ashland to Central Point. The trailheads in Ashalnd and southern Medford each sit next to a fenced dog park. This award-winning urban trail travels on an 8-foot wide paved path with an eleavtion gain of no more than 200 feet in its entire six-mile loop. The route visits both sides of the Sacramento River in Redding. This successful rail-to-trail conversion use the right-of-way of the Oregon-California and Eastern Railroad. Once cattle and timber moved along this route. Today it is Oregon’s longest linear park – any length of canine hike can be crafted from the trail. The first seven miles from Klamath Falls are paved. Residents of Jacksonville, honored by the National Trust for Historic Preservation as one of its Dozen Distinctive Destinations, recognize that their town’s woodlands are as valuable as the historic buildings. They have pre- served hundreds of acres and 8 miles of peaceful trails throughout town.